Note: Inorganic5 has changed addresses/locations again. The old address, inorganic5.fdt.net, is invalid. The new address is www.lewis.org. Hopefully, this is an address I can keep forever. If you can't tell, my day (and night) jobs keep me from doing much in the way of web page maintenance. This page has been changed very little over the past five years. Interested in setting up your own KA9Q based SLIP server? 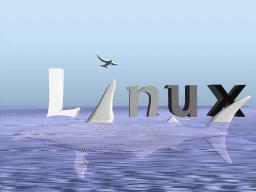 Linux Org. Lots of Linux info. This is an experimental Web server running on a virtual PC at FDT. The 486 it ran on until recently died. The motherboard was replaced, and then the main hard drive started acting flakey. Soon it will move to a brand new Pentium. It began life as a 386 running KA9Q NOS under MS DOS. The KA9Q based server was written by Ashok Aiyar, a graduate student at CWRU. Inorganic5 now runs the Apache HTTPD under Linux. This site is maintained/neglected by Jon Lewis, System Admin, Atlantic.Net. An HTML version of my resumé is available here. My wife Gail has her resumé here too. Here's a picture of me and my wife, Gail. It's a 16 shade gif from a borrowed Connectix QuickCam connected to my home Linux box. Those of you who saw the image that used to be here will probably agree that the picture quality from this $90 "toy" rivals that of the Indy workstation camera the old one came from. This WWW server runs on my experimental Linux system and is perpetually under construction. If "anything unusual" happens, please let me know about it. If these pages don't quite look right, maybe it's your browser. I'm using more netscape extensions to HTML every day. The graphic at the left of this text, for instance, is a server push animation that requires Netscape 1.1N in order to display. You can get recent versions of netscape for Win3x, Mac, and Linux here.